What is a Credit Report? Find Out Right Now, Right Here! What is a Credit Report? Everything You Need to Know! A credit report is a detailed account of your credit history that determines your credit score. 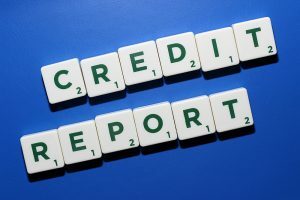 On your credit report, you will see a summary of every credit or loan account you have taken out and your payment history, if you have missed payments or quit paying altogether, that will be reflected and you will see a lower credit score. If you have made your payments on time and have a reasonable amount of accounts, that will also be reflected, as well as if there have been any inquiries into your credit score. What makes a credit report important? Credit reports are important because they are what determine your credit score, and your credit score is important because it determines if you can take out loans and the interest rates you will be offered on loans. It is always good to monitor your credit report to ensure that the information is accurate, if it is not, you can contact the credit bureaus and file to contest against the perceived inaccurate information. Bottom line: Your credit report is a reflection of your financial situation and you want to be certain that it is an accurate reflection. What if your credit report isn’t perfect? Do you worry that you have had missed payments and are barely making ends meet? Does bad credit history haunt your mind? Well, there is good news: you can still qualify for fast cash loans, personal loans and auto title loans if you find that you need money fast for an unexpected cost or an emergency. At Tio Rico Te Ayuda, we give everyone a chance—regardless of good credit history, bad credit history or no credit history at all. Contact us and start taking control of your financial future today!